Doctor in distress! Let’s all answer her SOS – or more specifically, the 7 distress signals coming from the planet, Long-Winded Alien Name, which roughly translates as disaster, disaster, disaster, ominous foreshowing, bad planet. Or something. But what reception did the episode receive from the rest of the DWC crew? Well, we didn’t catch up with all of them because some can run very quickly and others had mace. But others were ensnared by the copy of Turlough and the Earthlink Dilemma we balanced over a hole covered in Vervoid leaves. We asked them what they thought of the Series 11 finale before they could get to the part where Turlough does the thing. Remember that bit? Brian is the best companion but should have been angrier when facing Tim Shaw. Has he run his arc? Is it time for him to go back to Sheffield? Was anyone surprised at Tim Shaw’s return? Did anyone else think the Ux had made the Key to Time? Haven’t we had planets out of orbit before? Was that an almost deus ex machina resolution? Did the budget run out before the extras were given any lines? The return of the quarry! There’s a scene at the end of The Battle of Ranskoorav Kolos that is as inevitable as it is disappointing. 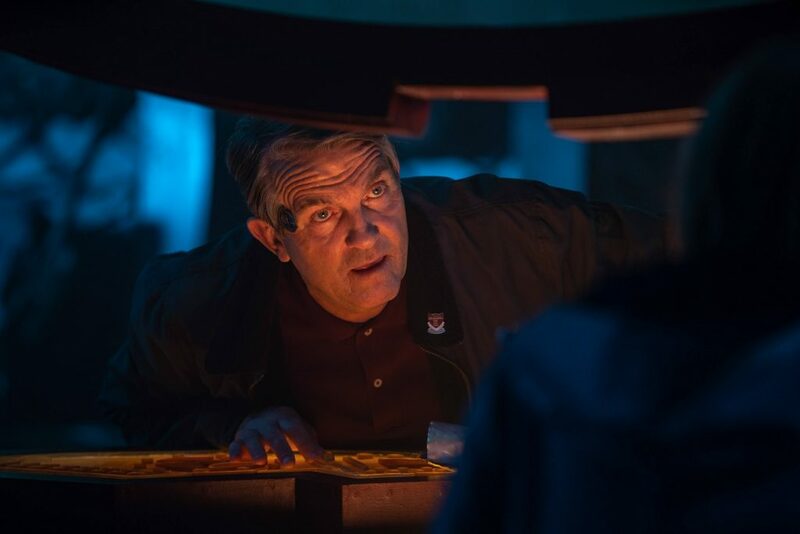 Out of breath, heavily armed, and as angry as we’ve ever seen him, Bradley Walsh is given the chance to avenge the death of his wife, and he bottles it. It would have been so nice (not to mention realistic) if he’d pulled the trigger; it’s no less than Tim Shaw deserves, and watching him face the repercussions of that –heaping him in with the likes of Wonder Woman, or Brad Pitt at the end of Se7en – would have made for a fascinating story. 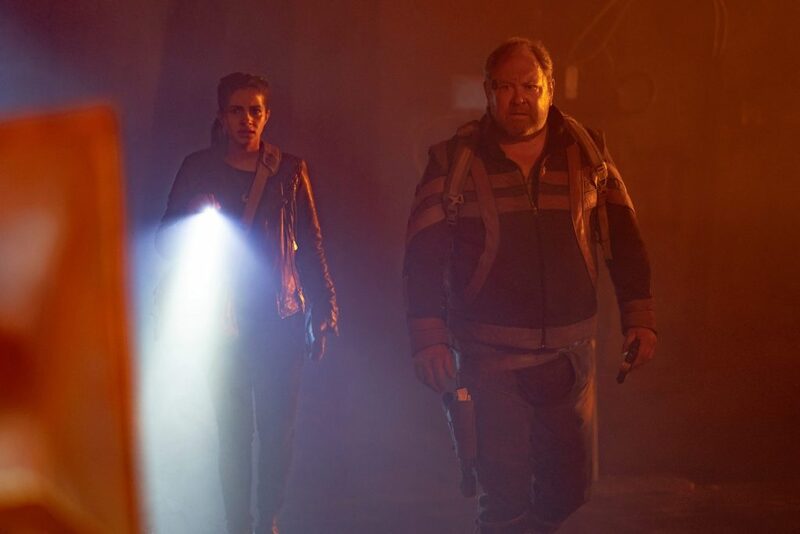 Instead, Chibnall lapses into the most oft-mined cliché in the action movie handbook, apart from the slow-motion flame run (and we even get a bit of that as well). Graham becomes the bigger man, and good old Tim is locked up on a planet with no security, in a cryogenic prison that’s so easy to open even Ryan could manage it. And yet… And yet there is a problem with unleashing this low-octane melange of explosions and countdowns, because all it does is make you wonder how the episode might have looked had Russell T Davies been at the helm. 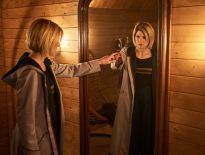 Perhaps the result would have been no different – the BBC can spin all they want but it’s obvious that Doctor Who’s had its budget cut this year, and this gets to be a problem when they’re clearly hearkening back to the fiery set pieces we’d become accustomed to over the last decade and a bit. Sat next to them, the end product is like one of those films where the heavily-armoured jeep gets stuck in the mud and the heroes have to go the rest of the way on a stolen micro-scooter. If the impression we’ve had all this year is that of a work in progress, rather than something that’s forged its own identity, then it’s worrying that this damp squib is all they can pull out of the hat for a series finale. Or perhaps the New Year’s special is the actual series finale, and this was just the build-up.But either way, it doesn’t help when, having spent 9 weeks bleating about how we need to move on from the old days, an episode like this merely serves to remind me how much I miss them. I have no problem with the production team wanting to try a different approach to the season finale – there have been times in recent years when I wondered just how much further it was possible to go in ramping up the level of threat to the universe in these closing stories –but this felt underpowered and unoriginal; a mid-season filler that had somehow got lost and ended up at the back of the story queue. My doubts set in early on, when the two guest characters started talking portentously about the creator and their gift and how long they had searched and… it felt like conversation you had heard a million times in a million sci-fi shows, and sadly the level of interest in the plot didn’t peak much higher afterwards. I actually rather liked Tim Shaw in Jodie Whittaker’s debut episode but he felt diminished here (but then he was ill, bless him). As the story went on, my attention wandered, and there were times I wasn’t entirely sure what was going on, but didn’t 3,400 years seem like a terribly long time to be taken in by someone? Then Graham said he was going to kill Tim Shaw. The Doctor didn’t want him to kill Tim Shaw and told him to be better than that. Graham had a moment when he could have killed Tim Shaw. Then he decided not to kill Tim Shaw. It played out as it was always going to with absolutely nothing unexpected happening whatsoever, basically. I’m being harsh. It was wonderful to see Mark Addy in Doctor Who. I have never found any of the four leads anything less than engaging to watch this series and this episode did a better job than most in giving them all something to do.And maybe on a re-watch the main plot will grab me a bit more. Throughout this 10-week run, I have remained pretty positive, responding well to the changes in style; simpler stories with, forthe most part, lower stakes and a focus on the character journeys of the friends (hell, on this site I was the lone voice who enjoyed The Tsuranga Conundrum!). With all that in mind, my expectations were sufficiently tempered for The Battle of Ranskoor Av Kolos (it means “Destined To Be Eternally Mis-Pronounced”) and yet I can’t help thinking that this was a bit of a dog’s breakfast. After a promising start with the two Ux, beings of seemingly phenomenal power, we got stuck into the drama of the Captain’s missing memory.With a mystery at hand, returning menace T’zim-Sha (yeah, so over that joke) promptly offed a no-name member of a crew we hadn’t met to re-establish his villainy, and we were off on a mission. My major grumble is that, for all Bradley Walsh’s considerable acting chops, I did not for one moment believe Graham would kill T’zim-Sha in cold blood – it felt out of character for the man who we have cometo know across these stories, whose decency has come to the fore time and time again, and at odds with the thoughtful resolution of It Takes You Away. There were a couple of nice scenes for him and Ryan, including that long awaited fist bump, but I simply didn’t buy his lust for vengeance. On the flip side of the tale, Jodie Whittaker waded ably though some impressive technobabble but the threat amounted to what felt like lukewarm levels of peril. I am not calling for the universe to be endangered in every season finale – arguably RTD and Moffat managed this every which way, but this felt like The Stolen Earth-lite, sans Daleks and with the threat to Earth chucked in to up the ante without any warning. Might touching base with some familiar characters in danger such as Yaz’s family have helped to sell it? Poor Mandip Gill; she is terrific when they remember to give her something to do, for me the strongest of the three, but Yaz was again relegated to the role of bystander. You can read it all in, loyalty, admiration for the Doctor, but that is all she gets: it feels like she has taken on a traditional companion-like role while the other two have enjoyed a developing relationship and overcome their personal obstacles. I stand by a thought from earlier in the series – have we honestly had enough story to keep three friends involved and interesting? Not consistently. 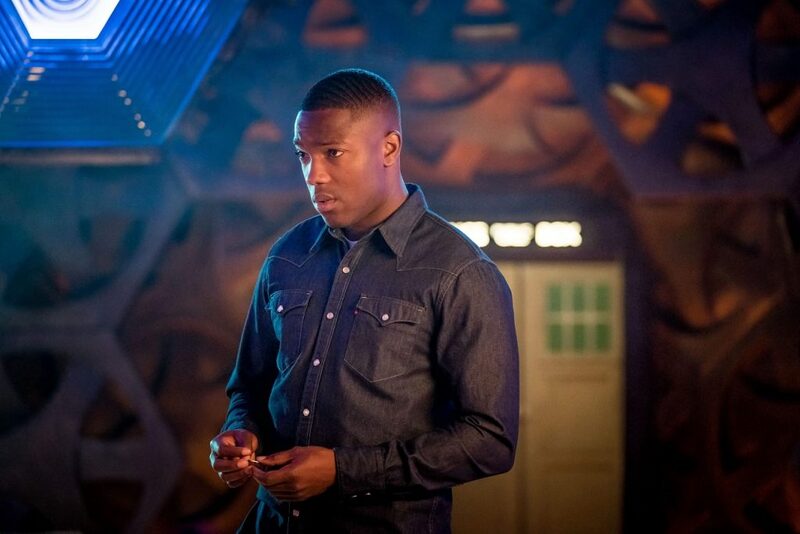 I hate to end the series on a downer, Ranskoor Av Kolos looked good and sounded great, but I cannot help but feel that it was underpowered and as workaday as modern Doctor Who gets.This iteration of the show is getting plenty right – a great cast and strong ideas coupled with good production values – but I think it is in need of a strong Script Editor in the traditional sense, or story focussed Producer (like Julie Gardener of the RTD era), someone to actively challenge the writing. This isn’t a new criticism though; the latter Moffat series were in need of it too- perhaps it is a drawback of the Showrunner system? Fingers crossed for NewY ear’s Day eh? And 2020 for that matter. Bah humbug! The dull Tim Shaw was back. We had another set of cardboard characters, blamma blamma robots, and daft aliens who can make piles of CGI rocks appear in the air with the awesome power within their mighty heads. More mediocrity. More of the dull Ryan, more of Yaz having nothing to do. More of the same. Apparently, it’s ethical to sentence someone to solitary confinement for centuries. Yes, Chris, we do know capital punishment isn’t nice. But ethicists generally don’t take the view that all homicide is the moral equivalent of murder. The traditional morality of Doctor Who has endorsed the view of the Just War: that there are circumstances in which war or violence is justified. In the ’60s and ’70s, when actors and writers for the programme had served in the Second World War, this view was part of the zeitgeist. It was taken as a given and was reflected in the programme’s stories. Using violence to defend people against a homicidal enemy is acceptable as the lesser of two evils. It can even be a moral duty. Tim Shaw, boring as he is, is a homicidal maniac. He could be freed or could escape. It is less bad to kill him than to allow the possibility of his carrying on with his murderous agenda. Graham was right; the Doctor was wrong. The Doctor’s morality under CC has become glib – and actually rather warped. So ends the worst series of Doctor Who since 1987, not with a bang but a whimper. In the year’s hiatus, please can some better writers be booked, and please can Jodie watch some of her predecessor’s work so she can understand who the Doctor is supposed to be? The character now has little charisma, no force of personality, no edge,no danger, no otherness. These things need to be rediscovered. 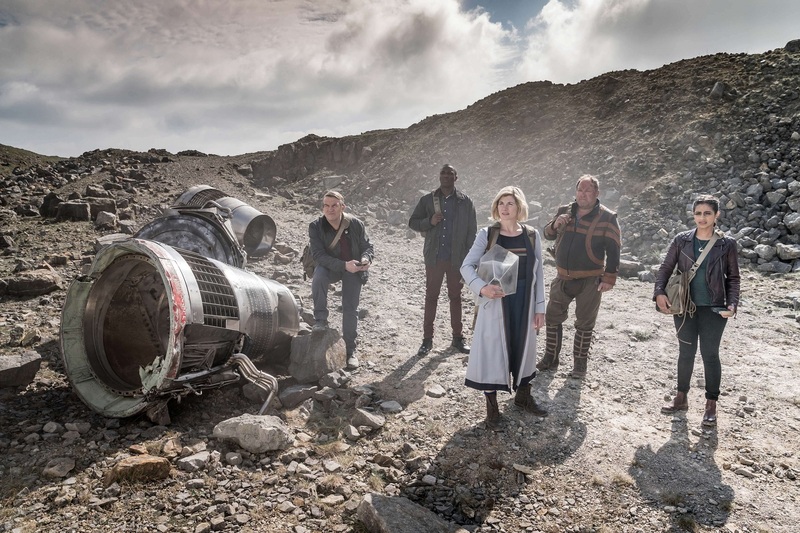 I hope the year’s rest will give the production team a chance to learn from the mistakes and misjudgements of this season, and that Doctor Who will be much better when it comes back in 2020. 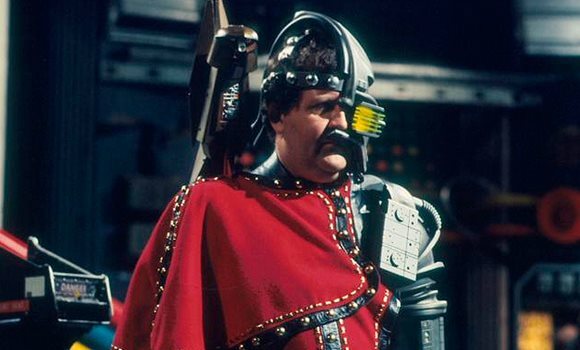 In its essence, as no doubt every other fan will realise,this was a rewrite, and not a good one, of The Pirate Planet. Tzim-Sha first appears on a time-based life support system being maintained by the energy of the five planets (exactly like Queen Xanxia); Tzim-Sha ships is encapsulating each planet and holding its core it a time-space field (this time in a crystal) exactly like ‘The Captain’; The Uxs have a huge mental energy, exactly the same as the Mentaids; his ‘next target’ is Earth, exactly as with Douglas Adams’ serial. We get also the merciless execution of an aide to prove Tzim-Sha/The Captain’s power. All that was missing was the Polyphase Avatron for which we got Sniper Bots instead. Had I not seen the previous 9 episodes, I would have been sorely disappointed with this one. However, as it stands amongst the rest of 2018, it ranks third of a poor series based purely on the Graham/Ryan ending.Otherwise, it was dull and slow. 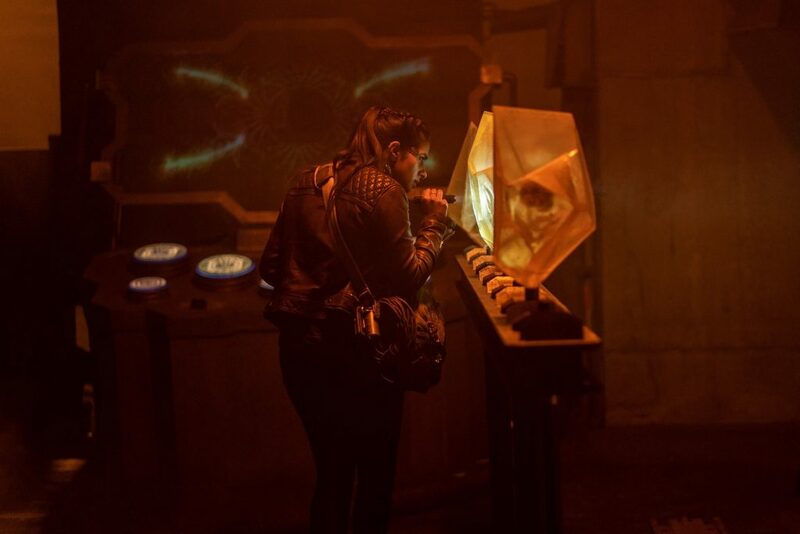 As with most of the past few weeks, very little of the TARDIS, very few characters, all the aliens are humanoid, an unconvincing backstory (thousands of years waiting for The Creator, and they accept a Stenza? ), uninspiring sets (except the TARDIS), and still very little for three companions to be actively doing. As for the Doctor… who? Final Verdict – series finale – 45 minutes of boredom with 5 minutes of overt emotion – making it one of the best three of year. For the first time since Death in Heaven, Doctor Who made me angry, albeit for a very different reason. 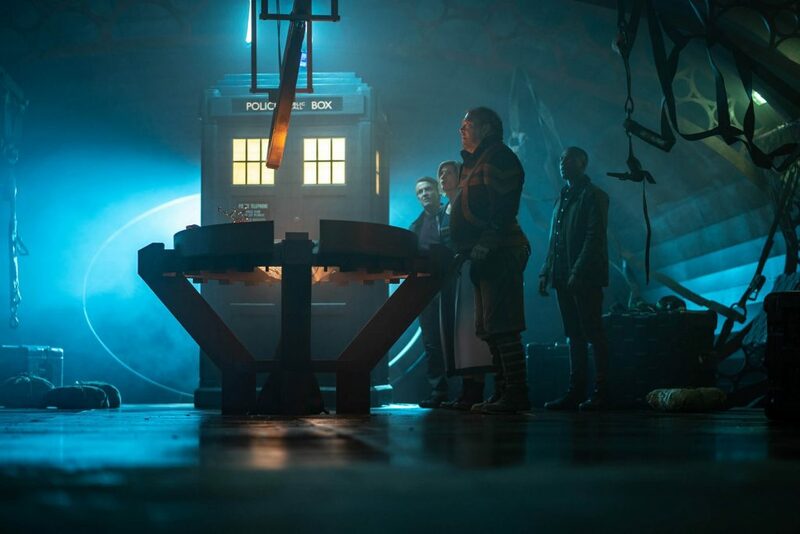 With the Series 8 finale, it was that the concepts went too far out of the range of how I saw my lovely little show, and I didn’t want to accept that Doctor Who had strayed into what I deemed to be offensive territory. But it was still well written – unlike The Battle of Ranskoor Av Kolos. Yes, I was actively angry because the Series 11 finale was one of the poorest episodes of Doctor Who I’ve ever seen. I’ve come to accept that Death in Heaven was written with the best of intentions because Steven Moffat has always come across as a lovely and smart chap. The Battle of Ranskoor Av Kolos, meanwhile, is lazy,by-the-numbers, and the lowest common denominator; worse than that, people just accept that because “it’s popular with the general public – look at the figures”. Well, no. It’s not good enough. Chibnall, you shouldn’t be able to get away with it because millions of people have a TV on in the background and ITV’s playing a repeat of The Chase again. Chibnall likes to default to “tell, don’t show”; sets up ideas, only for them to go nowhere; and is bizarrely praised for “good characterisation”, despite the characters being sketchy at best. I don’t know who the Doctor is anymore. She’s just there, flashing about a sonic and going on and on. The companions have shifting personalities –there’s only one companion, really, but that lone figure’s traits are split up awkwardly across three people. The supporting cast barely exist, they’re so forgettable and basic. There’s some incredibly powerful aliens who don’t do much at all except get fooled by a bloke with a dental problem. The villain, such as he was, didn’t do anything. And it’s unrelentingly dull. I was yawning. I didn’t care about anything that went on on-screen. The only thing that made me pay attention was the dialogue: the dialogue, by the way, was a lesson in How Not To Write. Appalling. 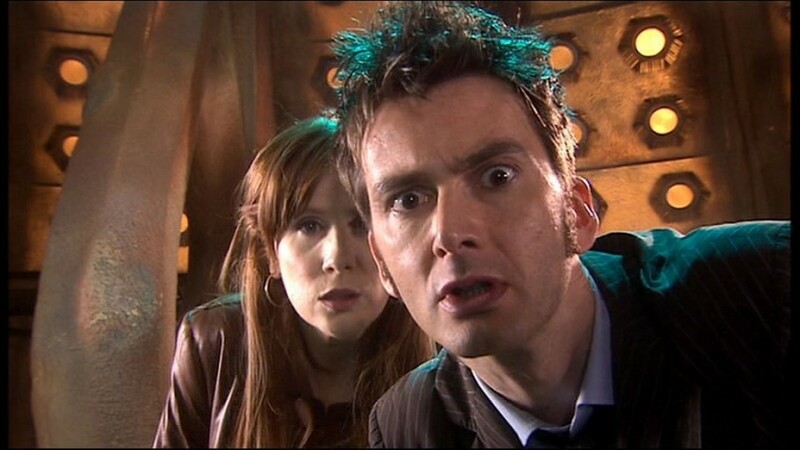 When I first watched it (and I won’t rewatch), I decided I wouldn’t watch Doctor Who again until Chibnall leaves. I’ve since revised that opinion – give me Daleks in Resolution and I’ll watch, out of curiosity because I can’t see this version of the Doctor posing any serious threat to the Daleks. Yes, I got angry. But then I realised it was worse than that: I was disappointed. Actually, even worse than that: I wasn’t disappointed because this is what I’ve come to expect from Series 11. Nothing. Doctor, I let you go. Oh dear. This finale seems to have gone down like a lead balloon. Maybe New Year’s Day will hold a glimmer of hope? Next Time: Will there be fireworks?